Who ever said candies are only for kids? Even adults have their sweet tooth cravings every once in a while. Besides, more and more candy stores from various places across the globe have found their way here in Singapore. With that, we now have plenty of options to choose from when it comes to satisfying our taste buds’ guilty pleasure. Treating yourself to these sweet goodies isn’t bad at all — if consumed in moderation, that is. Learn to say yes to your cravings often, and forget about all your woes for a moment. Give yourself that sugar rush you deserve after all the hard work you’ve done! 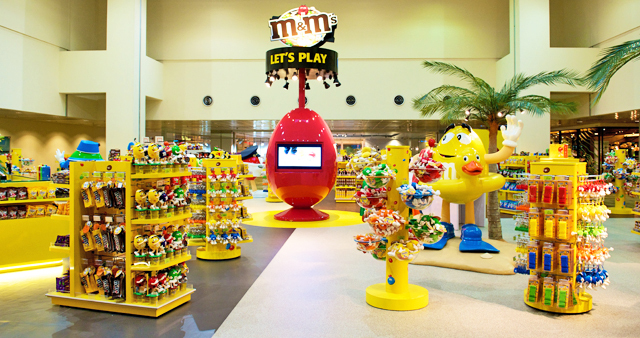 The first M&M’s concept store in Singapore opened at Changi airport in 2012. Since then, the store catered the soft chocolate cravings of customers. They also offer other items beside chocolates such as toy candy dispensers, exclusive souvenirs, and other accessories. The store’s lounge also has interactive, fun activities suited for both kids and the young at heart. If the name isn’t enough to give you a general impression of this store, Candylicious lives up to its portmanteau of words (candy and delicious) by offering about 5,000 different kinds of chocolates and candies. This store is perfect for your sweet tooth cravings. Best-selling candy choices include gummies shaped like cola bottles, peach rings, and gummy bears. 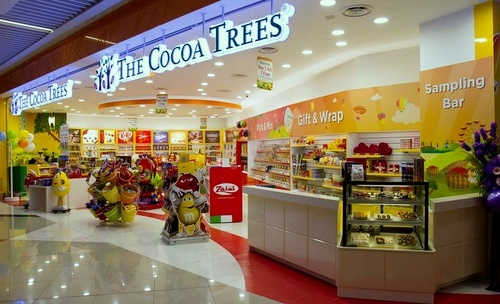 The cocoa trees is the dream store suited for your chocolate cravings. The place has diverse choices of chocolate brands from across the world like Toblerone, Swiss Delice, and The Belgian among the many other brands you may choose from. The store has a number of branches all over Singapore, with most of them found inside Changi Airport for your convenience. Another chocolate store, Au Chocolat is a French-inspired candy store which is a delight to many chocoholics. They offer rich sugar treats such as sherbet bombs and cream toffees. The thing about this store is that, you may also marvel at the process behind how they come up with their sweet treats! Think of it as satisfying not only your cravings but also your curiosity, as you can watch the making of their chocolate creations through a glass window. You don’t have to stray far away from home if you want a taste of sweet treats other countries offer. 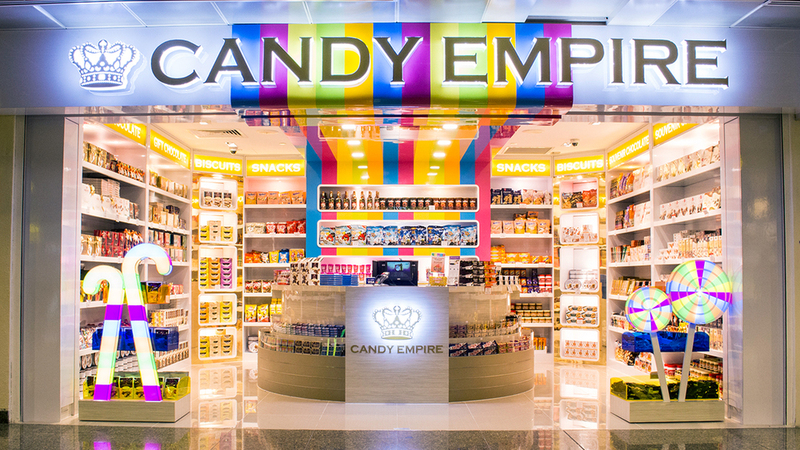 Candy Empire is a store found in Singapore which offers myriad treats imported from various places all over the world. You can choose to your heart’s content — from chocolates, jams, candies, and other snacks coming all the way from the US, Europe, and Australia.